Acronym for the Central Intelligence Agency. 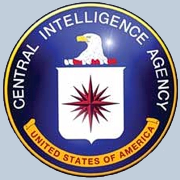 The CIA is an agency of the United States government that was created in 1947 for the purpose of coordinating the nation’s intelligence activities and providing accurate, comprehensive, and timely foreign intelligence on national security topics, conducting counterintelligence activities, special activities, and other functions related to foreign intelligence and national security, as directed by the President. To accomplish its mission, the CIA engages in research, development, and deployment of high-leverage technology for intelligence purposes. Special multidisciplinary centers address issues such as nonproliferation, counterterrorism, counterintelligence, international organized crime and narcotics trafficking, environment, and arms control intelligence. During December 1952 H. Marshall Chadwell, Assistant Director of OSI briefed DCI Smith on the subject of UFOs. He urged action because he was convinced that "something was going on that must have immediate attention" and that "sightings of unexplained objects at great altitudes and traveling at high speeds in the vicinity of major US defense installations are of such nature that they are not attributable to natural phenomena or known types of aerial vehicles." He was also convinced by the UFO situation in Britain, in particular, a recent sighting at an air show where RAF pilots and senior military officials had observed a "perfect flying saucer." In a December 2, 1952 memorandum, Chadwell wrote to the National Security Council proposing an NSC Directive establishing the investigation of UFOs as a priority project throughout the intelligence and the defense research and development community. The CIA then formed a special study group within the Office of Scientific Intelligence ( OSI ) and the Office of Current Intelligence ( OCI ) to review the UFO situation. Edward Tauss, acting chief of OSI's Weapons and Equipment Division, reported for the group that most UFO sightings could be easily explained. Nevertheless, he recommended that the Agency continue monitoring the problem, in coordination with ATIC. He also urged that CIA conceal its interest from the media and the public, "in view of their probable alarmist tendencies" to accept such interest as confirming the existence of UFOs. In January 1953, H. Marshall Chadwell and H. P. Robertson, a noted physicist from the California Institute of Technology, put together a panel of nonmilitary scientists to study the UFO issue. It became known as the Robertson Panel and included Robertson as chairman; Samuel A. Goudsmit, a nuclear physicist from the Brookhaven National Laboratories; Luis Alvarez, a high-energy physicist; Thornton Page, the deputy director of the Johns Hopkins Operations Research Office and an expert on radar and electronics; and Lloyd Berkner, a director of the Brookhaven National Laboratories and a specialist in geophysics. The Robertson Panel concluded that there was no evidence of a direct physical threat to the national security of the USA from UFOs. In May 1953, Chadwell transferred chief responsibility for UFOs to OSI's Physics and Electronic Division, with the Applied Science Division providing support. Todos M. Odarenko, chief of the Physics and Electronics Division, did not want to take on the problem, contending that it would require too much of his division's analytic and clerical time. Given the findings of the Robertson panel, he proposed to consider the project "inactive" and to devote only one analyst part-time and a file clerk to maintain a reference file of the activities of the Air Force and other agencies on UFOs. A nonbeliever in UFOs, Odarenko sought to have his division relieved of the responsibility for monitoring UFO reports. In 1955, for example, he recommended that the entire project be terminated because no new information concerning UFOs had surfaced and his division was facing a serious budget reduction and could not spare the resources. Chadwell and other Agency officials, however, were concerned by overseas reports of UFO sightings and claims that German engineers held by the Soviets were developing a "flying saucer" as a future weapon of war.